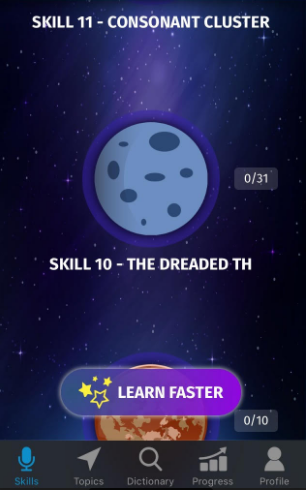 You can choose the skill (sounds) you’re interested in. A bulk of the activities involve recording phrases like the one above. 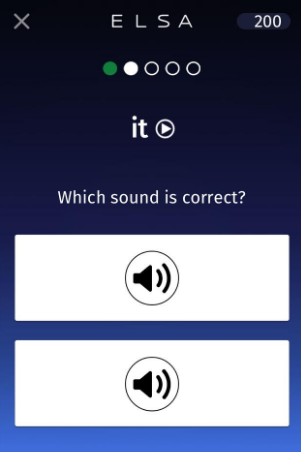 The app models the correct pronunciation then records your attempt. You can listen back to a recording of your voice, and read/listen to instant feedback on your performance. You can retry as many times as you like. There are some other tasks, e.g. listening tasks for discrimination, plus some of the dialogues are performed as if they’re a real conversation. 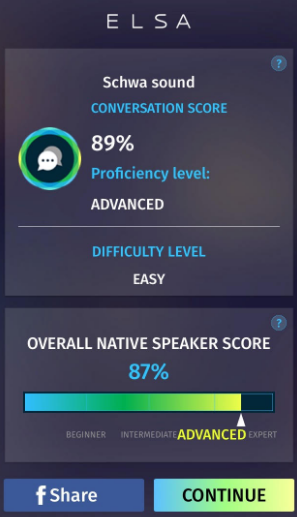 The app maps your progress, records words and phrases you have difficulty with so you can review them, plus it provides an assessment feature too. Overall the app has great promise. I say promise – on the ELSA Speak site they state that the app has already been used 40 million times, so it’s clearly taken off! I wouldn’t say it’s the finished article yet though. 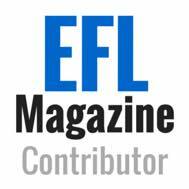 There are a lot of activities that focus on common difficulties such as /l/ versus /r/ and distinguishing between long and short vowels, both of which are useful in my context. 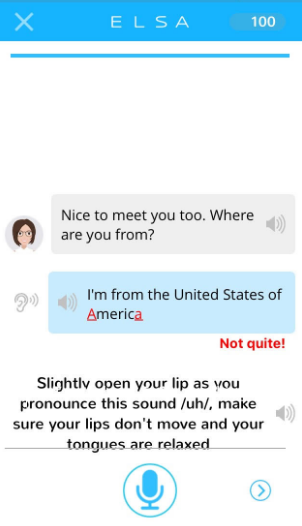 The app is gamified which definitely adds something – especially if you’re a Brit trying to put on an American accent (hehe). 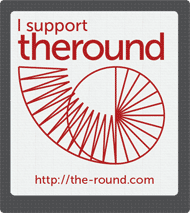 The progress record is great, plus in general the app is easy to use, visually pleasing and has been designed intuitively. It’s fairly priced – I’d say there is enough to keep a user focused if you chose a 3 month signup (about $3.50 a month). 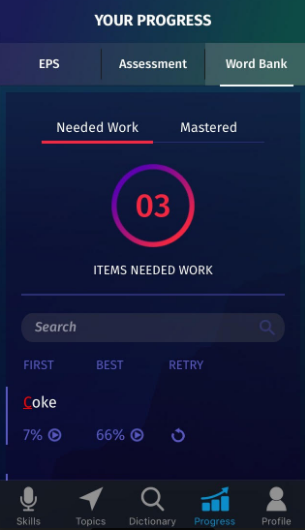 There is still quite a lot that could be done to this app. 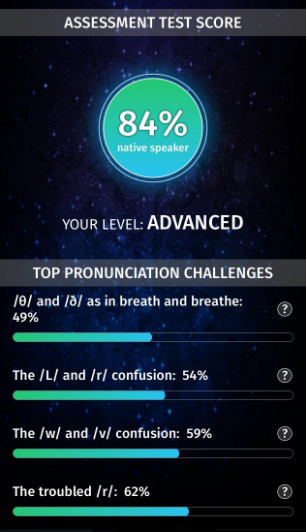 Part of the app’s selling point is the progression towards attaining native-speaker like pronunciation. 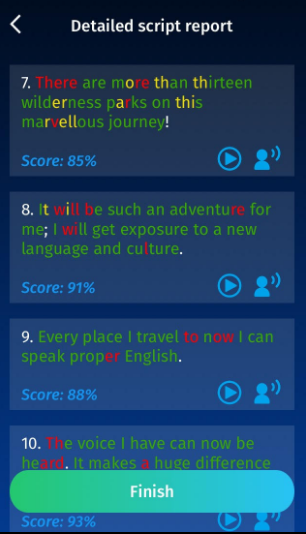 The progress section (see above images) makes this ‘Native Speaker Score’ fairly prominent. 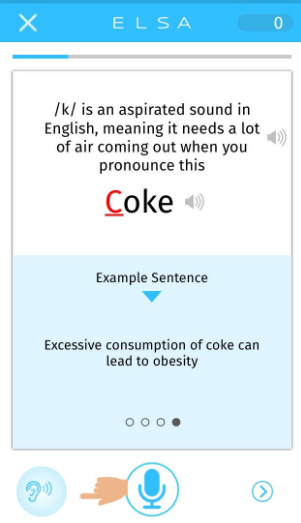 It’s awkward that the app is based on one particular model of pronunciation but hey, I suppose you’re opening a can of worms if you broaden the scope to accommodate all acceptable variations of a sound. The developers could look into this though. 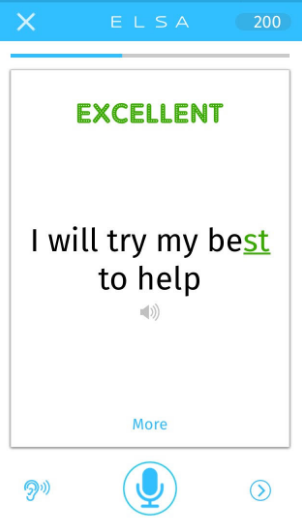 With most activities you see that the target sounds appear in phrases. It doesn’t take long for lazy people like me to realise that the app is just listening for the target sound, and the phrases are therefore arbitrary. 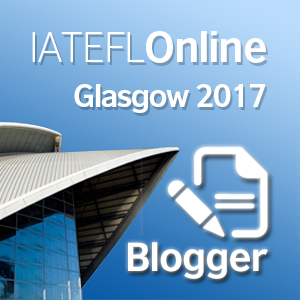 Once you work this out then the tasks become more like practise of isolated sounds. For learners, the desire to understand and use the whole phrase may compensate for this. 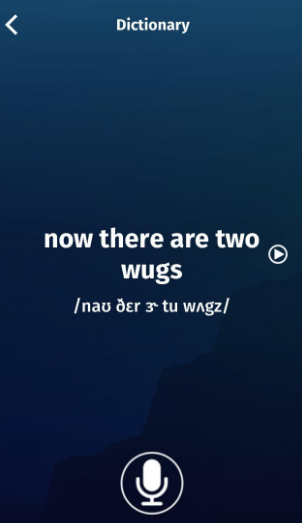 There should be some way to prevent you just saying the isolated sound – I did find something similar with Duolingo at times when learning Spanish, but that was a few years back. That whole isolated sounds comment above isn’t true when you do the assessment. This feature gives you some pretty interesting feedback – I’m pleased with my 54% /l/ versus /r/ accuracy! 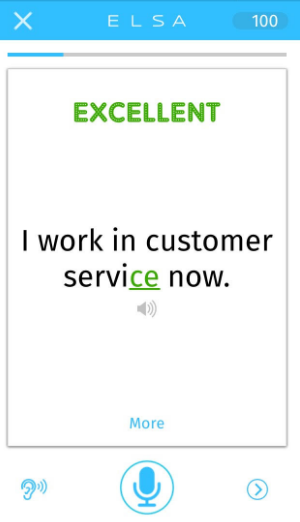 I do love the instant feedback. However, sometimes the description of how to make a sound isn’t enough – a video demo would be better. Worth downloading. 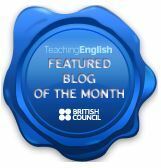 Recommended for students who want to practise the individual sounds of English. Value for money, plus it has a 7-day free trial! 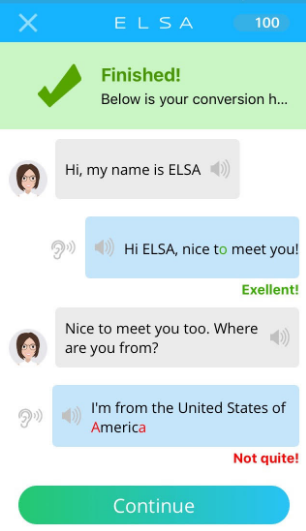 All the images (including feature image) are screen shots from the ELSA Speak app. 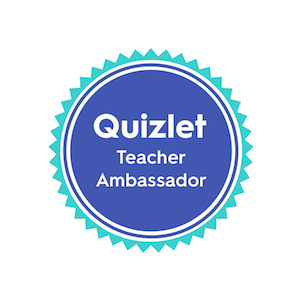 You can download it through the App Store, or visit www.elsaspeak.com for more information. Looks like an interesting app. Certainly worth a try!